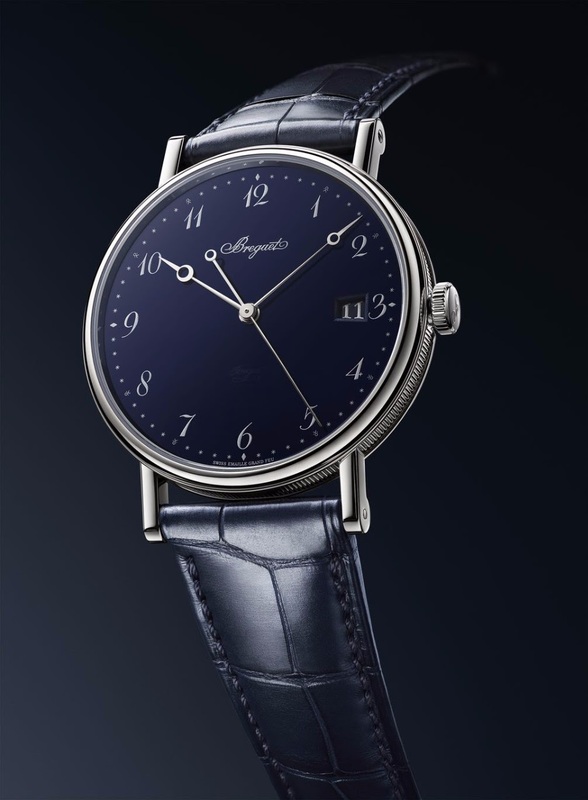 Breguet - PRE BASEL 2019: Breguet Classique 5177 Grand Feu Blue Enamel. 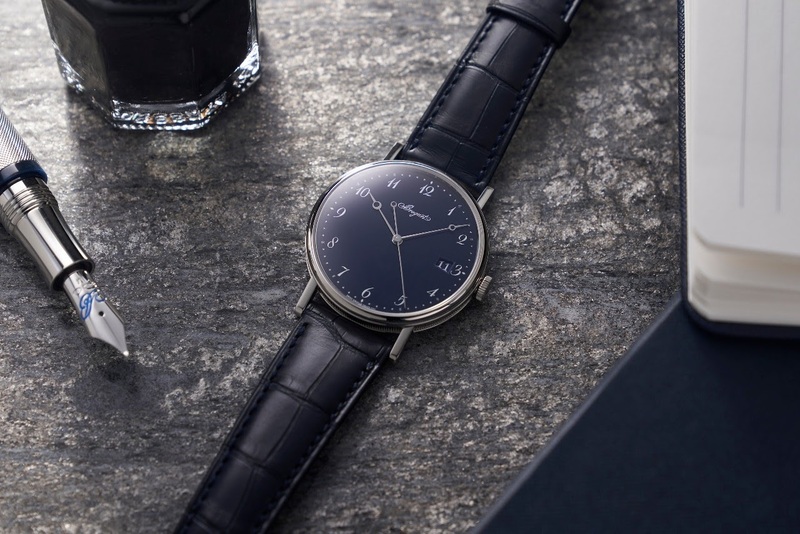 PRE BASEL 2019: Breguet Classique 5177 Grand Feu Blue Enamel. Here are some pictures I received from my contact at Breguet of this year novelty, the Breguet Classique 5177 Grand Feu Blue Enamel. My first feeling is very positive, and I think this is the kind of watch which deserves real pictures ( which I will take as soon as possible ) and most importantly, which has to be discovered in the " metal ". This is the kind of Breguet I like. The dial and the case have a lot of DNA of the brand, exquisite, refined. 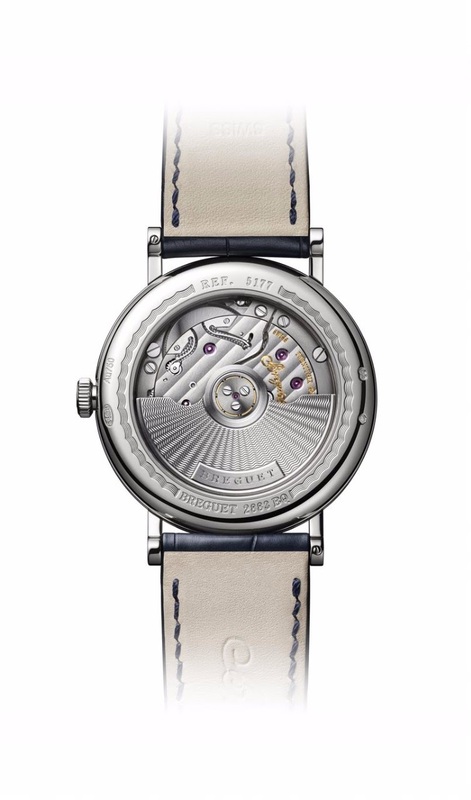 The case, for example, is 38 mm big, which is good enough for an elegant watch, made in white gold, with flushed sides we are used to see with watches of this brand. The thin welded lugs are consistent with the spirit of this watch. And the height is, for case of this size, in harmony: 8, 8 mm. The dial is sublime. The Grand Feu Dark Blue enamel is eye catching, as well as the Breguet numbers, and the blend of stars, diamonds and Fleur de Lys shaped indices. The Breguet numbers are silver powder finished. Pay attention to the zone between 6 o' clock and the axis of the hands, and you will find the famous Breguet secret signature. We find the typical hours, minutes and seconds hands, " pomme ". I can't help thinking that WITHOUT the date, we would have been closer to perfection. The movement is a mix of tradition and modernity: Tradition, as we have the key codes of a Classic finishing, with Cotes de Genève, chamfering, perlage... It is very pleasant to see, and it is not always the case for automatic movements. The 18 Kt gold rotor receives an impressive guilloché ( hand made ). 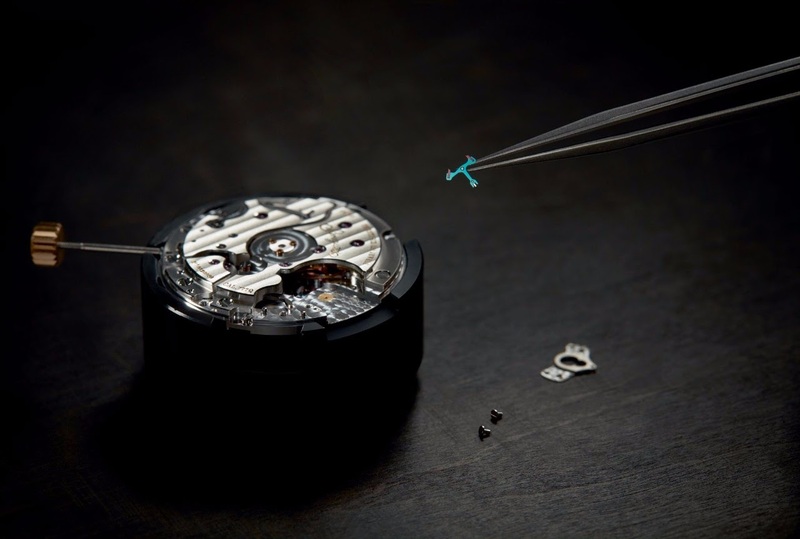 Modern, because this calibre 777Q has a silicon escapement and balance spring. 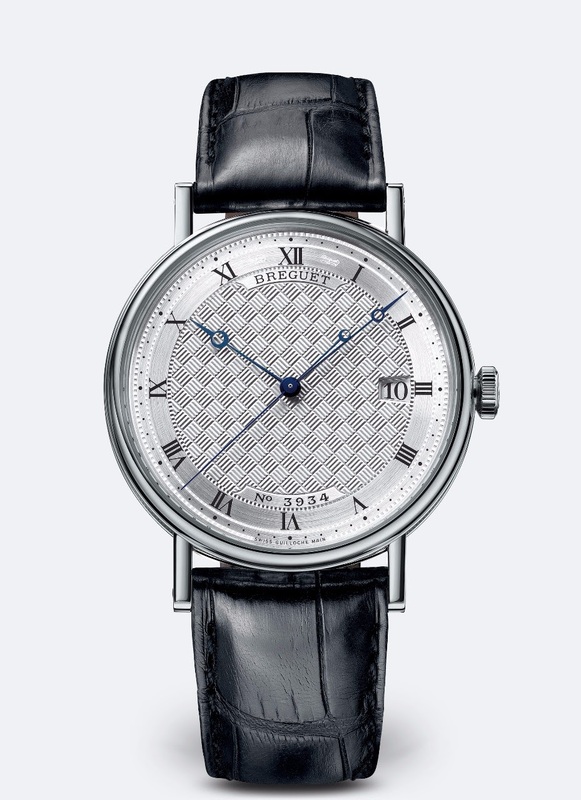 Yes, this Breguet is a real Classique. Compared to the former Guilloché or the White Enamel versions, there is on difference in price: 23, 100 CHF, tax included. Looking forward to Breguet's full 2019 line up! This is a good beginning! The no-date version was a LE for Japan last year, iirc. P.S. Did you see the Bucherer Breguet Marine? What’s the difference between this one and the one they launched last year for Japan Ginza boutique? It's always the date that bothers me on the Breguets I like. 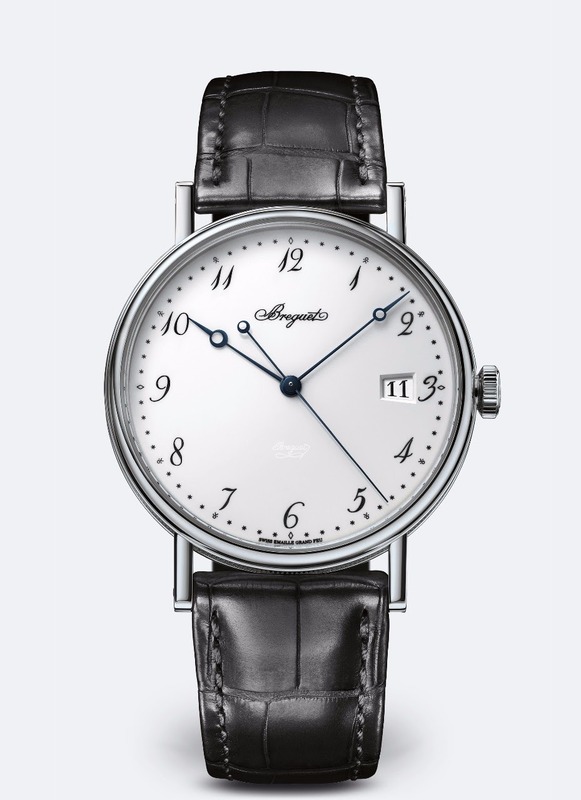 Why you do this to me, Breguet? I really do not like the date, but the rest of it is so right in so many ways. At this price, I think the presence of the date would bother me too much to justify an acquisition sadly. 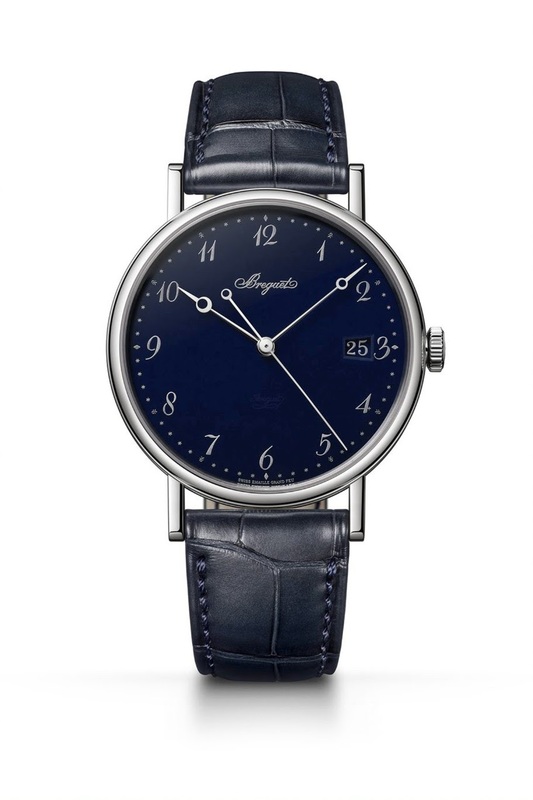 but I believe Breguet did produce a limited edition for the Japanese market without the date, in blue enamel. Perfect!! They did it, for Ginza. all the posts above before replying. I noticed that what I said had already been mentioned! Hehe--there's no doubt we can agree on that point.